Sheffield is famed for its history as an industrial city of steelworks… you’d never guess that it’s also the zen capital of the north! Perched on the edge of the beautiful Peak District National Park, it has a whole host of nearby green open spaces to hike and explore. But if you wish to play in the city instead, you’ll be happy to hear that Sheffield’s fitness scene has exploded! We all need a touch of zen time to reconnect with our minds and bodies. Sheffield has some incredible yoga studios that offer fantastic practices that suit all - no matter what level you are or whichever flow you favour. So if you’re needing some time out from your busy schedules, be sure to hop onto MoveGB to find out what session is on when and where. With tons of spaces available across the city, you’ll never be too far from yoga in Sheffield. You can even give most of them a try on our £1 per week membership! Unity Yoga Sheffield provides a whole plethora of different practices - you’ll find a session that suits your flow! From Flow & Restore to Vinyasa Flow, and from Mysore to Yin, you can try a whole heap of practices and hone your poses. Try out the slow-paced Vinyasa style class ‘Slow Flow’ if you fancy a slower practice that still maintains an essence of fluidity. Dynamic to mindful, Unity Yoga will open your eyes to a world of yoga. You’ll quickly get addicted! Hot Yoga Sheffield has two different studio locations in the city - both of which are available on MoveGB. Bend and move in a hot room that is heated to between 30 - 40ºC and feel your muscles loosen in the warmth. Build your strength and improve your posture - salutations in the heat will help ease any stiffness from your body. Alignment and breathing are the focus, and expect inversions depending on the level of class you’ve selected. New to hot yoga? Well, be prepared to sweat a lot. Arrive 30 minutes before your booked session and come prepared with water to stay hydrated... and a towel to help mop yourself up throughout and after your session. Stretch out the kinks of your week at R1SE yoga studio - Sheffield’s sweetest yoga studio tucked in the innovative Krynkyl building in the Kelham Island quarter near the River Don. Enjoy slow, super chilled flows that provide nourishing postures that release tension and stress, or ramp it up a notch in a Flex class - build lower body strength and increase flexibility along to great beats. Once you’ve had your zen fill, either stay a while with a cup of herbal tea with the R1SE crew, or venture out to play in Kelham Island. One of Sheffield’s newest yoga studios, Namaste Yoga Ashram opened its doors in 2018 and offers classes to help you improve your strength and flexibility. They encourage all who visit to try something different and new - you don’t need to be super flexible or fit to take part! Try a Hatha yoga class to experience an immersion into body control with a deep focus on rhythmic breathing. Sink into deep poses in a Yin/Nidra session for deep relaxation or try the speciality class ‘Flexibility Yoga’ where you’ll specifically work on improving flexibility and stretching to release stiffness. 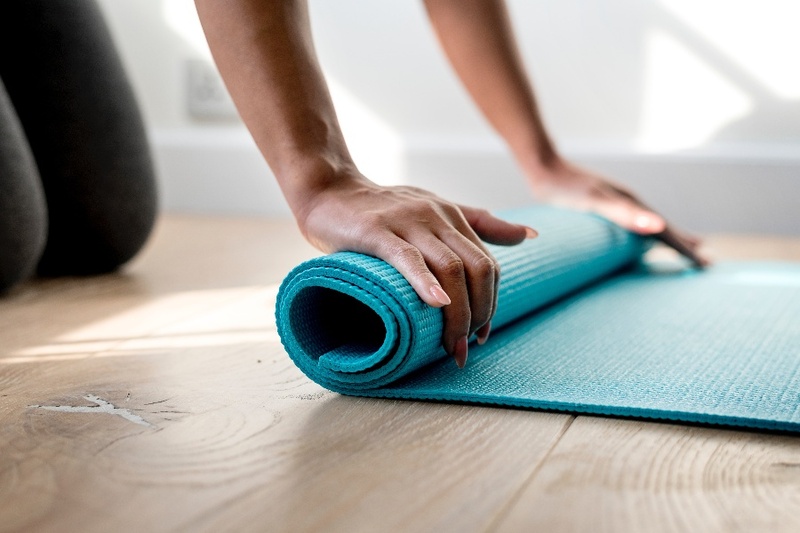 This small yet friendly yoga studio in peaceful Sharrowvale offers a range of calming yoga practices, designed to re-balance your body and reconnect your mind. Try out a beginners yoga class if you’re a yogi newbie, or sink into a soothing Hatha class or hot yoga session with infrared heating systems to untangle your muscles. And as Love Yoga is in Hudson & Wood, why not stay for a while after class and enjoy an indulgent beauty or holistic treatment in the calm environment. Based on Eccelsall Road, this Sheffield yoga studio offers a calm place to practice. With friendly teachers who aim to nurture and encourage all to fulfil their personal yoga journey and reach their highest potential, you’ll feel incredibly comfortable to either begin your yoga journey or hone your practice. There’s a class suitable for you no matter what your age or ability - Hatha, Ashtanga, Mysore, Vinyasa… you name it, they teach it! Near the Botanical Gardens, the Mindful Body yoga studio is run by Dianne Hancock - a yoga teacher that specialises in practices that help you discover and regain better movement in sports and everyday life. Hatha sessions are run to increase balance, strength and coordination. Or try The Feldenkrais Method - a world-wide recognised movement awareness system that will teach you to undo old and harmful movement habits, improve your posture and release joint stiffness. With yoga sessions available every single day, you’ll always be able to squeeze in a practice. This tranquil environment will leave you feeling relaxed, restored and revived. No matter if you’re a worrier or warrior, you’ll find a practice to suit your vibe. Try out a Max Stroms Inner Axis class every Monday evening - this is a unique practice to Sheffield that deals directly with stress, anxiety and sleeplessness. It produces a level of fitness that’s designed to give you deeper sleeps and function higher in all aspects of your life. This yoga and mindfulness session is accessible for all levels. Looking for a slow-paced session that can help you understand anatomical details and alignment of postures? The team at Zagyoga Iyengar Yoga Studio in Sheffield aim to ensure all students benefit from an insightful Iyengar practice. The classes focus on a systematic method that cultivates strength, flexibility, stability and awareness. Introductory classes through to intermediate sessions are available - learn the art of Iyengar in a bright, airy studio that’s full of props and colourful mats. In need of a yoga session that gets you sweating and leaves you feeling powerful? Try out the Power Yoga session at Abbeyfield Park House. This class is designed to get you working your core and leave in a sweat. Balance, inversions and core-strengthening exercises will leave you feeling strong. And after, relax into some gentle, delicious stretching. Prior yoga experience ideal. Have we piqued your interest in yoga in Sheffield? MoveGB gives you access to all of these studios and more - all under one monthly membership! So if whether you’re keen to begin integrating yoga into your routines or want to explore new spaces and flows, you can do it all in Sheffield with MoveGB, why not try some of them out on our £1 per week taster plan?